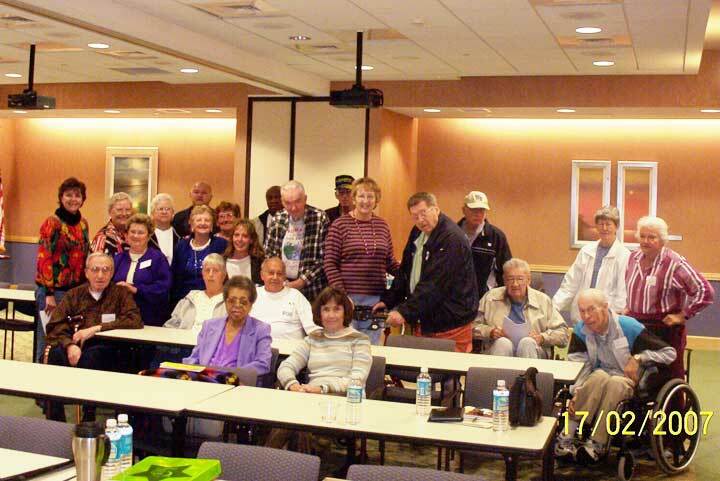 The North Brevard Parkinson's Disease Support Group meets on the third Friday each month — 2 p.m.-4 p.m. in Heritage Hall, Parrish Health Village West. The winter meetings provide great speakers that are associated with Parkinson's Disease: living with P.D., cures, nutrition, exercise, medication and more. The purpose of the support group is to provide help and advice to those afflicted, care givers, and their families in any way possible. Contact: Call Janet Rooks at 321-268-6800 or email Janet.Rooks@Parrishmed.com for more information. Part of our North Brevard Parkinson's Support Group. Click for an enlargement. Use your Browser's BACK button to return. The American Parkinson Disease Association Inc.